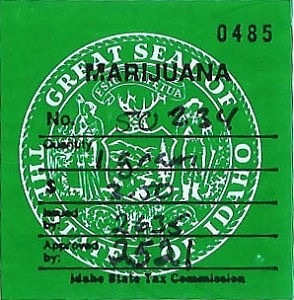 [Vision2020] Idaho, an island of prohibition . . . Courtesy of today’s (June 27, 2018) Moscow-Pullman Daily News with special thanks to Chris Norden. Canada has just legalized cannabis for all its citizens, thereby ending 90 years of prohibition. This move makes sense from both public health and law enforcement perspectives, reducing the risk of unsafe black market products, while freeing law enforcement to deal with crimes of violence and property crimes. Even Mississippi has decriminalized marijuana, meaning violations earn you a ticket rather than a trip to jail. Idaho claims to be a beacon of freedom. In fact, Canada's 52-29 Senate vote makes Idaho even more of an island of prohibition, surrounded by states and provinces that have more freedom than we do. Places with more freedom than Idaho include Alaska, Hawaii, Washington, Oregon, Nevada, Montana, California, Arizona, Colorado, North Dakota, British Columbia and Alberta. I love my religious brothers and sisters here in Idaho, and fully respect those who choose temperance. But I and many other Idahoans object to the standardization of a religious morality and lifestyle we don't share. Most cannabis use can be broadly defined as "compassionate," to include veterans with PTSD; seniors and working people with various aches, pains and stress; and people with chronic pain or diseases who choose not to risk opioid addiction or overdose. LEGALIZE IT ! REGULATE IT ! TAX IT ! Take a puff, that's enough and pass it to a friend.